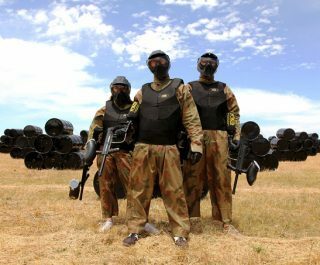 Delta Force Paintballing Edinburgh is based on the western outskirts of the city in Kirknewton and a great option for residents of Aberdeen. 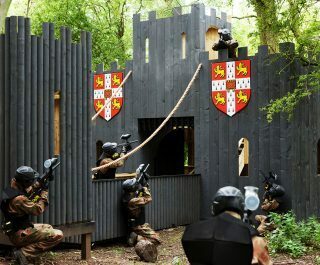 With a vast array of themed paintball game zones, the Edinburgh Paintball centre provides a full day of action and adventure. 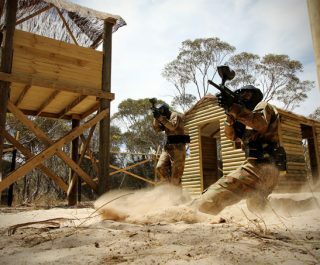 Armed with the latest paintball semi-automatic paintball gun and decked out top-to-toe in protective paintball equipment, you and your comrades will spend a full day in search of victory! 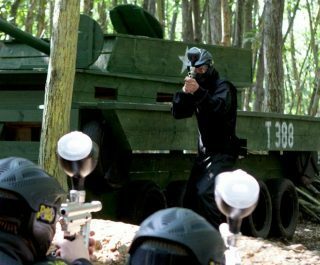 Delta Force Paintball provides world-class paintballing events in Scotland, with venues close to the two largest cities – so whether you prefer to play paintball in Edinburgh or paintball in Glasgow, we’ve got it covered. In addition to the picturesque scenery, our incredible game zones are unrivalled in quality and scale, providing players with an adrenalin-fuelled day of paintballing action all year round. 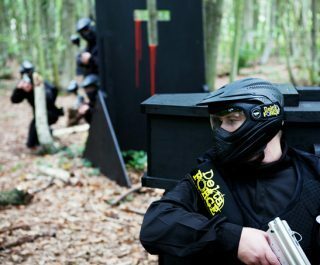 For the ultimate Paintballing in Scotland experience, look no further than Delta Force Paintball Edinburgh! Check out our 5 star Visit Scotland award here. Full day entry and equipment hire per person. 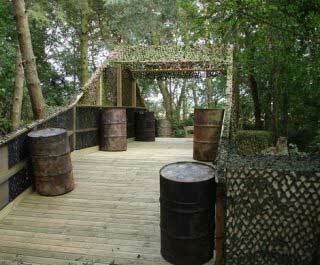 Full day entry, equipment hire + 100 paintballs per person. £9.99 per 100 paintballs when additional ammo is required!